For all the great, DIY happenings in town, Rigsketball is definitely one of the best. Combining friendly competition with one of the more frequented pastimes around, Rigsketball's tournaments are nearing their end, and they've got some good musical acts accompanying them. The first day of the music fest, along with the slimming down the finalists through eight rounds, took place last night. Boone Howard, Kulululu, Kyle Craft and the Woolen Men all rang the first night of the fest, with tonight taking it to the next level. 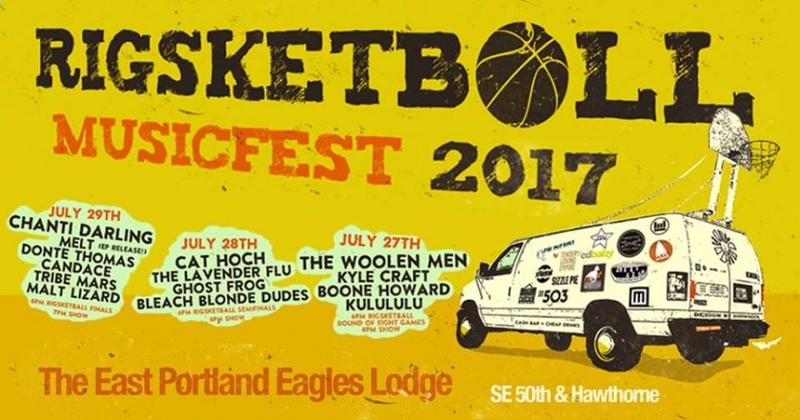 Rigsketball is taking over the Eagles Lodge again tonight for the semifinals, with performances from Bleach Blonde Dudes, Ghost Frog, Lavender Flu and Cat Hoch. As always, Rigsketball is entirely free. Games start in just a couple hours at 6pm and music starts at 8pm. Head down to southeast again tomorrow for the tournament finals, Melt's EP release and sets from Malt Lizard, Tribe Mars, Candace, Donte Thomas and Chanti Darling. Have yourself a hefty pour of some sensually funky soul syrup with Tribe Mars, who amid a lineup change still boast the same incredible output. 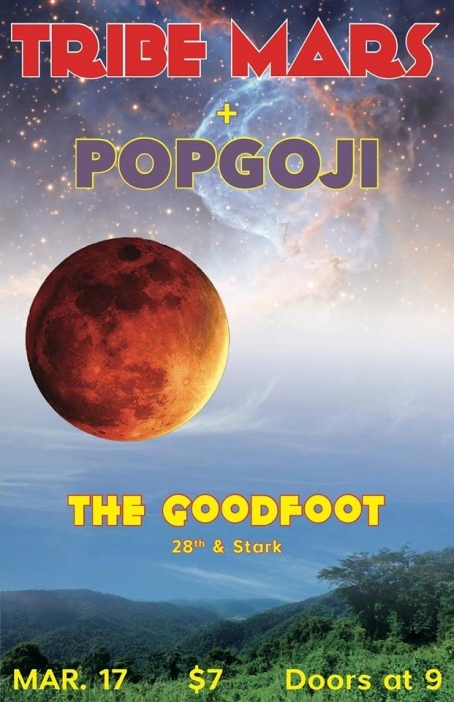 Now featuring the talented Vaughn Kimmons (of POPgoji and as Brown Alice), the group's interesting arrangements are only elevated by the ardent vocality of Kimmons. Rescheduled from its original weather-postponed date and location, Tribe Mars will be joining Blossom tonight at new downtown nightclub NYX for some Sunday Sessions vibes, hosted by multitalented singer-songwriter-producer Fritzwa. It's free, so let your soul glow up in the city's newest spot with music starting at 9pm. It's that time of year again...St. Patrick's Day. A day where we wear green to avoid getting pinched, get terribly wasted on dyed green boozy beverages, and pretend like we're celebrating Irish culture when in reality we're just looking for another excuse to day drink. No matter your reasons for indulging in whatever festivities you choose, one good time to consider would be the Shamrock Shimmy happening at the Goodfoot that night. Both Tribe Mars and POPgoji are set to play. 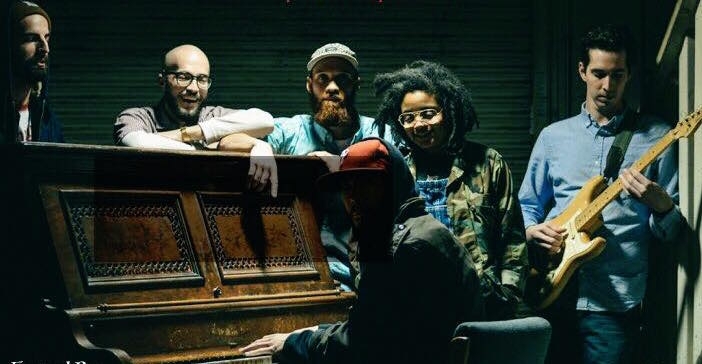 Both of their approaches to a culturally varied neo-soul, hip hop and jazz are sure to make you want to dance about. Just be careful not to spill green beer on anyway as you girate. Tickets run $7 and doors are at 9pm. Bring your luck and cheer, and join in on the fun!